The annual Alaska Peace Officers Association 2012 Crime Conference, sponsored by the Capital City Chapter, was held in Juneau, Alaska May 21-25, 2012. 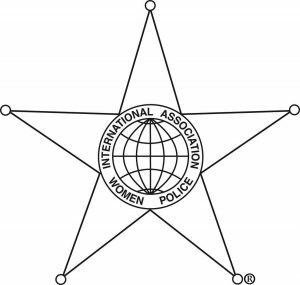 Kudos go out to the Capital City Chapter members, several who are Women Police of Alaska members, including Kris Sell, Kelly Magee, Sarah Hieb, Sherrie Daigle, Kim Horn, Kelly Alzaharna, and others, for a successful, fun and fantastic week of excellent training and networking activities. We even managed to get one of Juneau’s 38 days a year of bright, clear sunshine during the five day conference! We had our annual WPA General membership meeting during the APOA conference on Monday, May 21. We had a terrific turnout for the meeting with 18 members and would-be-members attending. The minutes from that meeting will be posted under the link for Meeting Minutes. We also had a successful silent auction at the conference benefiting our WPA scholarship fund. The final numbers are not yet in, but it appears we made approximately $1,500 which will be put towards our scholarships in the future. We are currently accepting scholarship applications for the 2012-2013 academic year through June 15. Congratulations are in order for WPA member Kelly Alzaharna who was appointed in June 2012 to be the Executive Director of the Alaska Police Standards Council (APSC), the State of Alaska’s version of what most states call their law enforcement “POST”. Kelly was appointed as the APSC Training Coordinator in May of 2011, then acting Executive Director. Kelly’s background includes 25 years of law enforcement experience, and when she retired in 2011, she was the Police Chief of the North Slope Borough Police Department in Barrow, Alaska. Of particular note, Kelly is the first woman to be appointed Executive Director of APSC in the history of Alaska. Congratulations, Kelly! I also want to send out a special thank you and recognition to WPA member, Cheryl Gilmour, a CSO with the Alaska Bureau of Judicial Services in Barrow, Alaska. Cheryl has been coordinating with a female officer from Scotland who will be traveling to Alaska in June on a trip of a lifetime. Cheryl has been helping Elizabeth Porch, a Police Sergeant with Grampian Police in Aberdeen , Scotland , UK with her activities in Barrow which will include polar bear viewing and a meet and greet with North Slope Borough PD. I hope to meet with Elizabeth when she passes through Anchorage. And finally, save the date! The 4th Annual Women in Law Enforcement Recruitment Fair has been scheduled and will be held at the University of Alaska – Anchorage on Wednesday, October 24, 2012. More details will be forthcoming as we plan this event with the UAA Justice Center and the Alaska State Troopers. Our next definitely planned meeting will be our biannual membership meeting in Anchorage during the APSC Executive Development Conference in December 2012. Be sure to check back to this website from time to time for updates and new happenings. In the meantime, have a great summer and stay safe!